* On September 12th, 1942, at the height of the Second World War, an experimental fighter aircraft piloted by WWI Ace and test pilot Valentine Baker crashed in a field in England. Baker's best friend, an Irishman called James Martin was watching as the pilot attempted to make an emergency landing after cataclysmic engine failure. The dashing fighter ace who had survived the air war over Flanders almost made it. But at the very last moment, a wing tip clipped a tree in the field, the plane flipped and Baker was killed instantly. 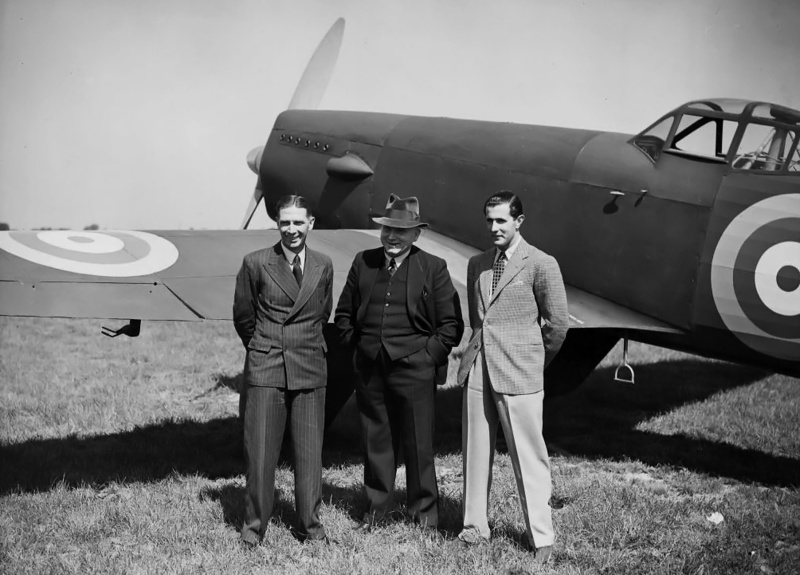 Martin, a brilliant engineer and aeronautical designer had worked with Baker to develop the plane together for the RAF. It was at the height of the Second World War. At Stalingrad, the German army was engaged in a titanic battle with the Russians. Men were dying in the air, at sea and on land all over the globe. But for James Martin, the loss of his friend in such a senseless accident, was a dramatic turning point, both in his personal and professional life. The engineer from Crossgar, Co Down knew that if his friend had been able to exit the stricken aircraft quickly and safely, he would in all probability have survived. From that moment on, James Martin vowed to devote his life to pilot safety. His invention ,the Martin-Baker ejector seat, would go on to save (to date) 7,441 lives. It is still saving lives all over the world today. Captain Valentine Baker was a hero of WWI. He served in all three branches of the British Military and was seriously wounded in Gallipoli before going on to become a Fighter Ace with the Royal Flying Corps in France. He was awarded the Military Cross. At Gallipoli, Baker was wounded by a bullet in his neck which lodged near his spinal column. Doctors informed him that any operation to remove it might be fatal, so Baker told them to "leave it alone then", and he lived the remainder of his life with it in his neck. Together, they began to work on experimental fighters for the RAF, working on the designs that would help to beat the Nazis. Baker was killed while testing the Martin-Baker MB3 prototype in September 1942. It was the death of his best friend and business partner that lead James Martin to devote the rest of his life to pilot safety. And from 1942 on, the Ulsterman was in a top-secret race against a rival team in Nazi-Germany to develop the first working ejector seat. The Germans, facing bombing day and night from the RAF and the Americans, were running out of experienced pilots to fight the allied air-armadas. A workable ejector seat would have greatly aided their efforts to stop Allied bombers pounding their industrial heartlands. Their engineers came up with a range of proposals and some working prototypes - but they were mostly based around compressed air systems (the German word for ejector seat - schleudersitzaparat - translates roughly as "seat catapult") and were nowhere near as advanced as Martin's concepts. As a historical footnote, it has recently emerged that US engineers working on ejector seats in the early cold war period used drugged bears as live crash-test dummies, a rather bizarre concept. James Martin was asked by the British Ministry of Aircraft Production to investigate the practicability of providing fighter aircraft with a means of assisted escape for the pilot. He soon decided that best means would be by forced ejection of the seat with the occupant sitting in it, and that the most effective means of doing this would be by an explosive charge. There was only one problem. How do you persuade somebody to be the first person ever to try an ejection seat? Martin found a willing guinea-pig in an Irish fitter working in his factory called Bernard Lynch. It was a brave move with highly uncertain and dangerous new technology. The first static ejection test took place on 24th January 1945 with Bernard Lynch (literally) in the hot seat. The first mid-flight test ejection was then made on 24th July 1946, also by the Bould Bernard. He ejected himself from the rear cockpit of a specially modified Meteor 3 fighter jet at 320 mph and 8000 ft. The whole system worked successfully. Which must have been a relief for Bernard. Lynch made a perfect landing and subsequently made a further 30 ejections, often at airshows. It was some party trick. The first "live" ejection was made by a pilot called Jo Lancaster in the skies over England in 1948. Lancaster survived. Martin Baker are still in the ejector seat business and still leading the field. To date, over 7,400 lives have been saved by MB ejector seats. When a pilot has a brush with near death and survives, they may want to remember the First World War Hero and his Irish friend, who did so much to further the cause of pilot safety. We read with interest your article about Benny Lynch. He was my father and we have many stories to be told, and are looking to emulate his life stories into a possible book and utimately a film! If you would be interested in hearing more and the potential of being part of this please contact me. We can provide proof of family connection etc if you are in any doubt this comment is real or not. I live with my wife in Buckinghamshire, UK.